Cancer Treatment & Awareness Programme. Posthumous Eye Collection under HCRP. 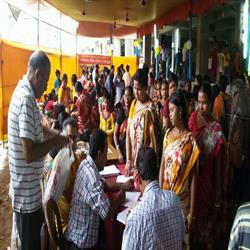 Aid Distribution Programme to persons with disabilities. National Children Science Congress, A project of Dept. of Sc. & Tech, Govt. of India. CHILDLINE , A project of Dept. of Social Justice & Empowerment, Govt. of India. And many more……………. 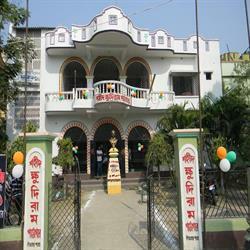 Gorabazar Sahid Khudiram Pathagar was established in 1982 by some educated but unemployed youth of Gorabazar, a locality of Berhampore Municipality in the District of Murshidabad, West Bengal. Primarily it was a text book library for the meritorious students who are incapable of purchasing book owing to financial stringency. The library was established by collecting used & unused books from the house of the common people. That was the first step to the voyage of miles. In the year 1989 GSKP started new wing for blood donation through chain system & Eye Care through wage free cataract operation camp. Gradually but slowly & steadily pathagar became a renowned NGO, a hallmark of qualitative service for improvement of social health. As days passed on Blood Donation movement, Eye Donation Movement, Medicine Bank, Book Bank, free coaching centre, Ambulance Service, Cancer Treatment & Chemotherapy Centre and etc flourished and thereby glorified this NGO. 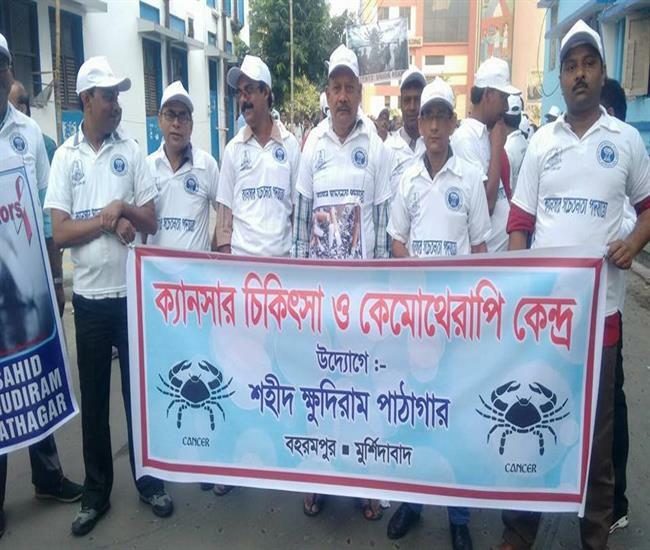 Today Gskp comprising above five hundred members, five offices & activity center in Berhampore Municipal area to cater service properly, 10 nos of ambulances, & A Charitable Hospital for Eye Cataract Surgery & Cancer Treatment & Chemotherapy Center. And lots of responsible dream in the years to come. 1. Generation & Promotion of Mass Awareness in any field of Public Health & Educational activities yet to launch. 2. To help the aged sick & indegent patients. a. HIV/AIDS Awareness & Prevention. b. Support to Physically Disabled Persons. c. Mother & Child Health Care Programme. d. Child Labour & Trafficking. 4.Cornea Grafting Center : With the advancement of years cornea grafting center is of bare necessity specially in the district of Murshidabad & this has undoubtedly assumed a new dimension at this crucial stage this NGO by virtue of being a renowned & leading NGO has the capability & potentiality to run such a center. In this context it is significant to note that presently this NGO is running an Eye Collection Center approved by the Govt. of West Bengal. 5. Phaco Surgery Unit for Cataract Surgery. 6. Up gradation of Cancer Chemotherapy & Treatment Center with better facility. 7. Like to run a Institutional cottage scheme for destitute , street children. 8. Medicine Bank with ECG, X-ray, USG & Laboratory Facility. 9. Any sort of gift, grant, donation, subscription, will help a lot to uplift the infrastructure, network, financial capability, potentiality & the standard of activity of this NGO. With the aspiration of greater philanthropic activities in the field of Health & Family Welfare this action plan in abriged form is concluded here.